One of the most important yet often ignored parts of game development is prototyping. A prototype is your way of testing out concepts without putting in too much time or effort. You can imagine how beneficial it is to find out an idea won’t work before putting in the time to code it, make art for it, etc. Whether it’s done digitally or with a pen and paper, prototyping is also useful for finding ways to tweak certain game mechanics and figure out how to make it as fun as possible. Even if several ideas end in failure at the prototype stage, you are nonetheless many steps closer to nailing down your design while making good use of your time. The following are some important things to consider while you prototype new ideas to make sure they actually provide an enjoyable experience outside of your mind. If there’s one thing all game developers can agree on, it’s that games take time to make. Even if you’re an indie developer that doesn’t have a producer constantly reminding you of tight schedules and upcoming milestones, you still want to make the most of your time. Spending too much of your valuable time on a prototype, whether it ends up answering a question or not, might not be the best idea. Generally speaking, you shouldn’t spend more than one or two days prototyping the core mechanic of a game. Some ideas may be complex enough that they require some extra days to prototype. However, if you’re planning on spending an entire week prototyping one mechanic, it might be wise to break it down into smaller ideas. Prototypes are meant to solve problems and see if your idea works, not to show off to friends and family. While there’s nothing wrong with sharing your prototypes, the mistake is made when you start spending time cleaning up code and making art for it. If the idea ends up not working and the prototype is thus useless, it will mean you wasted time. If the prototype ends up being good enough that you do want to recode it properly and provide high-quality art, great! But again, you’ll be losing a lot of time if you want every digital prototype to look good and run without any technical problems. A prototype is rarely worth the time it took to build it if it didn’t answer a question. If you’re in the process of making a prototype and have no idea what knowledge you want to take away from it at the end, it’s time to rethink the idea and start over. Walking away from a prototype with nothing new means it was pointless. For example, perhaps you’re wondering if your core mechanic will still be fun if your character can now fly instead of just jumping. 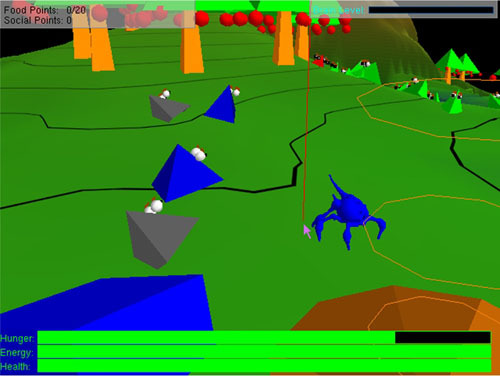 You’d then whip up a quick prototype that includes a level or two in order to see if flying would be a good addition. Whether flying makes your game better or not, at least you answered a question and can move onto the next design challenge. You wouldn’t be the first designer to be convinced that the idea in your head is so great that it’s sure to be the next big hit. But a few prototypes later and you realize that your idea isn’t as solid and well-planned as you thought it ws. Prototyping is a good way of finding out if a mechanic does in fact fit in with the rest of your game. If you’re still not sure if your idea will be fun for other players and not just you, let people check it out! Like we said before, the prototype doesn’t have to be super polished and bug-free. What it should be is playable enough that you can actually get some feedback from people after they check it out. Getting suggestions from others, especially people of different game tastes, will usually help you find out if the prototype is a good start on your path to making a complete game. Learn more about the Game Design School at the New York Film Academy by clicking here.